Kure Beach is a little bit further down the beach, at the southern tip of Pleasure Island. 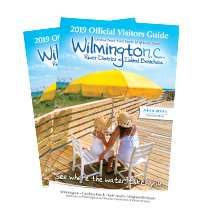 There&apos;s always plenty to do around here - you can cast a line from the 700-foot long fishing pier, or explore nearby Fort Fisher, the last stronghold of the Confederacy. Gaze in awe at the 200,000+ gallon saltwater tank at the amazing aquarium, or hike along the six mile stretch of undeveloped beach in the state recreation area. Shop for the latest beachwear and check out what&apos;s in style at the surf shops. Even hop a ferry for a breathtaking view on a trip to the mainland. There&apos;s plenty of everything to do under the sun or nothing at all! Fort Fisher, at the southern expanse of Pleasure Island just beyond Kure Beach, allows you to step back in time with a trip to the Fort Fisher State Historic Site and Civil War Museum and then discover the surprising world of the sea at the North Carolina Aquarium. You&apos;ll also find the Fort Fisher State Recreation Area here, with six miles of undeveloped beach at your disposal.